Your property's image is our top priority! Landstar can handle any of your commercial landscaping needs in the Dallas-Fort Worth and Houston areas. Each of our branches is staffed by landscape specialists that can turn your facility’s grounds into a vision that matches your expectations. 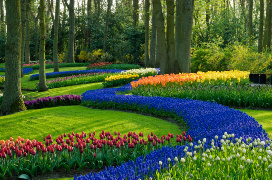 From annual maintenance programs to complete landscape renovations, we can handle any of your horticulture needs. We specialize in service for you. Landstar understands that the needs of the customer drive our service. Our customers and their properties are treated with great care, attention, and respect. Since our customers are our top priority, you will have access to your Landscape Specialist on an on-going basis – not just in the beginning. We will be directly available to you as needed and/or on a regularly scheduled basis as you prefer. It is our professional interest to insure that we are providing you with reliable, quality service to your satisfaction. Landstar appreciates regular feedback from our customers about our performance and our product. We also understand that in today’s changing world, the needs of our customers change quickly as well. We are there when you need us, just pick up the phone and call. 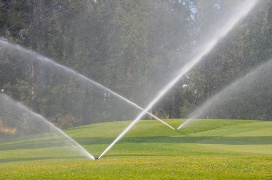 Personal assessment, custom design, proper installation, irrigation, safe and effective chemical applications, aesthetic and regular maintenance… Our everyday goal is to transform your property into what it can be. From your first consultation with us, you will see that we begin by carefully listening to any concerns or needs you have regarding your property's landscape. From small scale projects to many acres of property, we will tailor a program custom made to fit your goals, and provide excellent care for your grounds each step of the way. We appreciate that each customer and property is different. Our Landscape Specialist will listen to your needs and assess your property and relevant circumstances. Together, you and your Landscape Specialist will consider all aspects of your landscape options and come up with a plan that is just right for you. Our experienced crews will deliver the product that you desire in a manner that you expect. You will be pleased with your property and the manner in which it is cared for. We realize that the safety and security of our customers and crews are critical. Therefore, we are fully insured. Our crews arrive in uniformed attire and in well-marked vehicles. We require the protection of background checks on all Landstar team members, crews, and Landscape Specialists. Our crews are accustomed to working in environments that require security clearance. Landstar operates with quality, professional equipment that is regularly maintained and checked for safety and efficacy. We respect your environment by being mindful of your safety, and ours, at all times. Simply put, we strive every day to make your commercial landscape vision a reality. 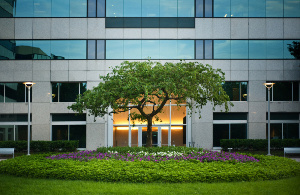 We do not believe that any landscaping company should use a “one system fits all” approach to commercial properties. It truly comes down to having a relationship with the customer, and taking the time to understand your individual needs and goals. We work every day with many types of businesses around Texas, and we’re honored to consider them not just our customers, but our friends. Regardless of any unique issues you may have, we believe we can come up with the perfect solution. When you call to get any assistance from us, we are confident that you will be very happy with our level of personal attention. We sincerely look forward to hearing from you.